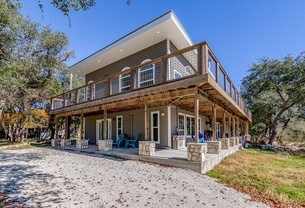 Hill Country Premier Lodging has a wide variety of vacation rental homes and log cabins in the beautiful Wimberley, TX area, many with access to the Blanco River. 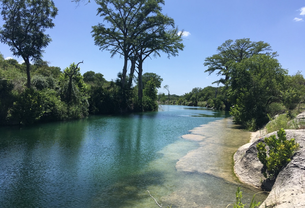 In addition, HCPL also has properties in the New Braunfels, San Marcos, Canyon Lake, Blanco, Dripping Springs, Driftwood, and Johnson City areas of the Texas Hill Country for a complete Hill Country experience. Be sure to view our alphabetical listings of properties page or see our rental properties with Swimming Pools, Hot Tubs, Fireplaces, Romantic Properties, Waterfront Properties or those with a scenic view. Need a pet-friendly property or a child-friendly house for a true family vacation? Be sure to let the experienced Vacation Specialists at HCPL help with your specific needs. Hill Country Premier Lodging offers the perfect properties for weddings, receptions, rehearsal dinners, family reunions, business meetings and other celebrations. Since 2002, Hill Country Premier Lodging has been your one-stop accommodation service for Texas Hill Country vacations! Make your Hill Country get-a-way a truly memorable experience. We have Reservation Specialists ready to match you to your perfect vacation home. Experience the Premier difference today! · Best in class marketing – we will make sure your property gets the exposure you need to meet the goals for your vacation rental income. · Dedicated support staff – we understand the importance of providing both an exceptional guest and owner experience. · Property maintenance – We work with some of the best vendors in the area and have cultivated relationships that allow us to resolve issues quickly with minimal if any guest impact. In addition, we have an in house team for basic maintenance which allows us to ensure a great guest experience. Every time. · For a full breakdown of all the benefits schedule a consultation with a member of our team. We will complete a market analysis and provide recommendations for maximizing your rental potential. Please fill out our contact form and we will get in touch as soon as possible.